neurogal — Myth or Fact: Is Fluoride Toxic to the Brain? Is Plastic Toxic to the Brain? For years, fluoride has been touted as a risk-free, effective way of preventing tooth decay. Its daily use had been supported by the American Dental Association, World Health Organization, and Center for Disease Control. It is thought to prevent tooth decay by depositing onto teeth during a process called remineralization, a natural process whereby minerals are deposited back onto areas of teeth that have been demineralized (areas of mineral break down). By depositing onto teeth, fluoride is thought to enhance the remineralization process by speeding it up and attracting other minerals, like calcium, to help strengthen teeth. Moreover, fluoride has been shown to inhibit cavity-causing bacteria. Since the 1940s, the addition of fluoride to the drinking water supplies (termed, ‘fluoridation’) became widespread in the United States. This was reported to have drastically lowered the rates of tooth decay. However, over the past decade, fluoridation has come under scrutiny, as evidence emerged that the declining rates of tooth decay may not be related to widespread fluoridated water supply, but rather improved dental hygiene (i.e., consistent daily flossing and tooth brushing). The World Health Organization (WHO) published data on tooth decay trends internationally, and found that tooth decay rates have ‘precipitously declined’ in all western countries regardless of whether or not the country fluoridated the water. Moreover, in countries that have abolished fluoridated drinking water, the rates of tooth decay have not increased. In the recent years, fluoridated drinking water has come under ethical scrutiny, as many critics argue that US populations are receiving medical treatment without consent. Additionally, the appropriate ‘dose’ of fluoride intake is difficult to control due to the variation of fluoride levels in various water supplies, as well as its presence in a multitude of foods and products. Moreover, fluoride is not considered to be biologically useful to the human body (there has never been a documented case of ‘fluoride-deficiency’). Skeletal fluorosis - a health problem caused by excess accumulation of fluoride in bone, characterized by pain and tenderness of major joints as well as brittle bones and increased risk of bone fractures. Thyroid dysfunction - fluoride competitively binds to iodine and slows the production of thyroid hormones (Peckham and Awofeso, 2014). This can lead to hypothyroidism, a disorder in which the body produces too little thyroid hormone, which can lead to a multitude of symptoms, including weight gain, depression, fatigue, and cognitive problems. There is also evidence that supports that chronic fluoride exposure is a possible cause of uterine and bladder cancer (Peckham and Awofeso, 2014). -A multitude of published studies support that fluoride can harm the developing brain of children. In 2012, Harvard published a meta-analysis of 27 different fluoride studies, and found that fluoride exposure was associated with reduced IQ in children. -A recent meta-analysis published in 2018 found that greater exposure of children to high levels of fluoride in water was significantly associated with reduced levels of intelligence in children. -A review published in the Lancet concluded that fluoride is a neurotoxin that damages the developing brain, thus increasing the risk of autism, developmental delay, ADHD, and learning disabilities. Fluoride can cross the blood brain barrier (the special protective layer between the blood vessels and the brain) and deposits itself in brain tissue. When fluoride binds to aluminum, another common molecule ingested regularly, it becomes even more permeable to the blood brain barrier and thus can damage neurons more easily. -The pineal gland secretes a hormone called melatonin, which is important for regulating our sleep patterns. Melatonin is also a potent antioxidant and neuroprotector. Calcification of the pineal gland leads to impaired melatonin secretion. Reduced melatonin can lead to insomnia. Reduced melatonin levels are also observed in various diseases, such as dementia, mood disorders, severe pain, cancer, and diabetes type 2 (Hardeland, 2012). -Fluoride can induce neuron damage and increase inflammation in rat brains, especially within the hippocampus (Yang et al, 2018). The hippocampus is a region in the brain that allows us to learn and form new memories. HOW DO I AVOID FLUORIDE TOXICITY? While topical fluoride has been shown to help prevent dental cavities, excess exposure can lead to harmful health consequences. How do you minimize your risk of fluoride toxicity? The best way is to limit your exposure to it. It is important to be aware of the commonly used products that contain fluoride, to carefully weigh the risks and benefits of fluoride use, and to make well-informed decisions about the products you use. Given the abundant data that reveals an association between fluoride and low IQ in children, this is especially important for women planning a pregnancy or who are already pregnant, and for those with young children. The CDC website allows you to search your county to identify if it fluoridates the water supply. If your city fluoridates the water and you make the decision to drink non-fluoridated water, you can purchase a water filter that filters out fluoride. Royal Berkey Water Filter and APEC are both high quality filters, that are recommended by experts but are a bit costly. If you are looking for a less expensive option, Aquagear Water Filter Pitcher is cost-effective, filters out fluoride, and is also BPA-free. -You can also buy bottled water. But beware! Some bottled waters are fluoridated. Here is a list that identifies the various bottled waters that are fluoridated and those that aren't. -I personally have chosen to use Primo 5-gallon water jugs for my family. I bought a water jug dispenser and buy a few 5-gallon jugs at a time so our family doesn’t run out for a few months. We trade in our used jugs for new ones at a local grocery store that dispenses Primo water jugs (Lowe’s or Home Depot also often dispense if you are having trouble finding a local grocer who does it). This way we don’t worry about filtration systems breaking or having to change filters regularly. We also get hot and cold water on-demand from the water dispenser -I’m a big tea drinker so I love this feature!! Most non-stick cookware contain fluoride-containing chemicals called fluoropolymers (i.e., Teflon and perfluorooctanoic acid/aka PFOA). While these chemicals make non-stick cookware easier to cook, they are also toxic and are released into the food we cook at high temperatures. Make sure to read product labels carefully, because products claiming to contain no Teflon can still contain PFOA. Given that the chemicals used in nonstick cookware have also been associated with female infertility, I have avoided non-stick cookware for years, and instead use ceramic, cast-iron, glass, and stainless steel cookware . Lodge enameled cast-iron skillets are high quality and are safe and last a long time. 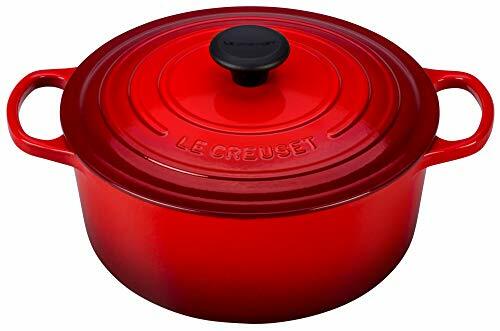 Other safe and durable products are Le Creuset and Staub. Who doesn't enjoy a hot cup of tea on a cold winter day? It is important to make informed decisions about the tea you drink. Certain tea leaves absorb a particularly high amount of fluoride from the soil, which can lead to high fluoride levels in tea drinks. But not all teas carry the same risk. Herbal teas and white teas contain the lowest amounts of fluoride, while black, green, and oolong teas have the highest content. ALSO, where tea leaves are grown makes a difference because of the content of fluoride in soils of different areas. For instance, green tea from China contains more fluoride than the green tea grown in Japan due to lower fluoride content in Japanese soil. Other areas with high fluoride soil content include Sri Lanka, India, parts of Africa and the Middle East. Also, the age of the tea leaf makes a big difference: the younger the leaves are, the less fluoride content they have been shown to have. Older mature leaves (which also on a side note, have less of the antioxidant EGCG than younger leaves) have up to 20 times more fluoride than younger leaves! The best bet if you want to avoid fluoride and still receive the health benefits of tea is to go with White Tea. If you desire black, green or oolong tea, drink tea from leaves grown in areas with low environmental fluoride (i.e. the US or Japan) or younger tea leaves. There are a few brands that offer this option. My favorite is Tom’s, which can be found at most grocery stores or ordered online. The toothpaste contains no artificial dyes, sweeteners or flavors, and the taste is pleasant and leaves my mouth feeling just as fresh as regular toothpaste. UPDATE: When I first transitioned to a fluoride-free toothpaste, I was skeptical that my teeth would stay as healthy as when I used fluoride-containing toothpaste. I officially started using Tom’s over one year ago (October, 2017). My pearly whites have remained cavity-free and radiant (as shown in the picture on the right). I HOPE THIS ARTICLE HELPS YOU MAKE WELL-INFORMED DECISIONS, AND EMPOWERS YOU TO TAKE CONTROL Over HOW MUCH FLUORIDE EXPOSURE YOU AND YOUR FAMILY ARE EXPOSED TO. Bhatnagar M1, Rao P, Sushma J, Bhatnagar R. Neurotoxicity of fluoride: neurodegeneration in hippocampus of female mice. Indian J Exp Biol. 2002 May;40(5):546-54. European Commission. Critical review of any new evidence on the hazard profile, health effects, and human exposure to fluoride and the fluoridating agents of drinking water. Scientific Committee on Health and Environmental Risks (SCHER), 2011. Jiang S, Su J, Yao S, Zhang Y, Cao F. Fluoride and Arsenic Exposure Impairs Learning and Memory and Decreases mGluR5 Expression in the Hippocampus and Cortex in Rats (2014) PLOS ONE 9(4): e96041.